Gwynfa Members Linda Gibbs MPAGB, AV-AFIAP and Edgar Gibbs FRPS, MPAGB, AV-AFIAP have each been awarded the Royal Photographic Society’s Dobson Henry Medal. This award is for outstanding contributions in the Audio Visual medium. This not only includes organising events at national and international level, but helping and advising others. They were each presented with a medal at the National Audio Visual Championship on Saturday 23rd September, only the fourth couple to receive the award. 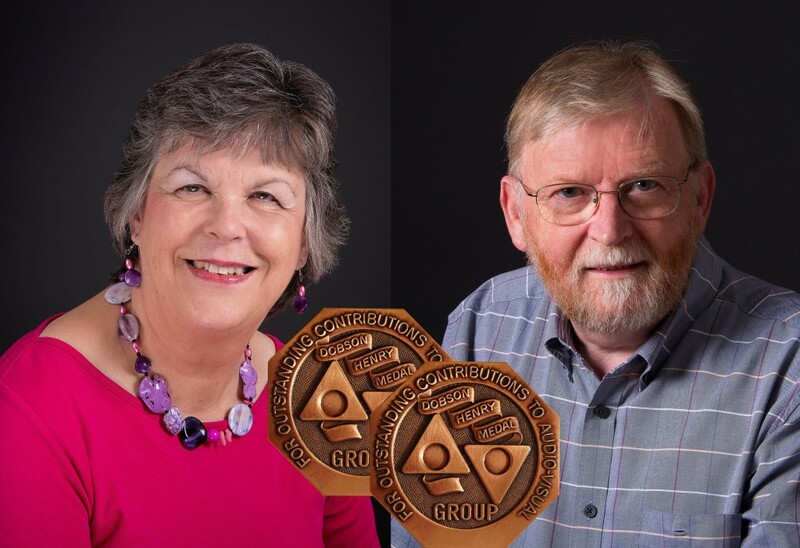 Linda and Edgar, who have been involved in the medium for nearly 30 years, said that they were delighted and honoured to be awarded their Medals, which were presented to them by RPS President Robert Albright FRPS.